CHRONIC PAIN IS ONE OF THE MOST COMMON SYMPTOMS REPORTED TO HEALTH CARE PROVIDERS; ONE REVIEW FOUND THAT NEARLY HALF OF THE ADULTS IN THE UK ARE AFFECTED TO SOME EXTENT. PAIN IS BOTH PHYSICALLY AND EMOTIONALLY EXHAUSTING AND CAN TAKE A SUBSTANTIAL TOLL ON THOSE AFFLICTED, THEIR LOVED ONES AND SOCIETY. Pain is classified as either acute or chronic. Acute pain alerts us to potential damage to the body, acting as an alarm that requires we attend to the source of the problem and prevent further injury. It may not be pleasant, but it is useful. Chronic pain is persistent, lasting at least 3 months and involves a more complex process. Though some types of pain are clearly tied to disease processes, for example joint degeneration causing arthritic pain, other types of pain are less well understood. The pain experienced in conditions such as fibromyalgia and irritable bowel syndrome are often not linked to specific abnormalities in the area the pain is experienced. Findings show there may be hyper excitement of the central nerves which then generate an ongoing experience of pain. The significance of traumatic experiences and negative emotions on pain cannot be overstated. For too long western medicine has separated the mind from the body, leaving emotions to psychiatry and dealing with the ‘concrete physical disease’ as an entirely different branch of medicine. The importance of underlying emotional issues and unresolved trauma in chronic pain is finally being recognised. Emotion is intrinsic to every human and the processing of emotions can go wrong as easily as a disc can be slipped. In one study researchers followed 100 patients over the course of four years. All of the patients were back-pain free at the start of the study and took psychological tests. At the end of the four years, researchers compared which participants remained pain free and which ones developed back pain; it was found that those who scored poorly on psychological tests were three times more likely to have experienced back pain by the end of the study. It is vital to address all emotional problems and often necessary to have guidance along the way. During trauma, part of the brain holds on to the fear response and it shapes the way we deal with things from then on, often in a way that is neither pleasant nor necessary. In a study of patients with osteoarthritis, those who held back from discussing their pain with their partners or close family reported higher pain ratings, physical disability and psychological distress1. In a set of experiments on the role of anger suppression, those who had to suppress their anger during harassment had lower pain tolerance and higher pain ratings than those with no restrictions2. One of the most common pain medications, NSAIDs (Non steroidal anti-inflammatory drugs) increase risk of heart attack, strokes and other cardiovascular problems by two to four times. Most people taking opioid painkillers for more than 2-4 weeks will develop a tolerance for the drugs, needing an increased dose to feel the same effects and causing withdrawal symptoms when the medication is stopped. In addition, over a long period they can even increase sensitivity to pain making the condition feel more severe. Pain medication has been found to dull the emotions, both painful and joyful feelings, as well as reducing empathy. Reflex tears – These allow the eyes to clear out any irritants or particles. Continuous tears – (Not the same as ‘crocodile tears’) A small amount of fluid secreted to keep the eyes lubricated. These tears contain lysozyme which has antibacterial effects. Emotional tears – This tear type contains stress hormones and toxins that accumulate during emotionally intense situations, allowing their removal from the body. It is thought they also stimulate the production of endorphins – feel good hormones. Typically after crying our breathing and heart rate decrease and we enter a calmer biological state. The term ‘Battlefield Acupuncture’ was first used in 2001 by Col. Richard Niemtzow MD, PhD, a consultant for complementary and alternative medicine to the Surgeon General of the Air Force. The treatment uses small gold needles which are inserted into the skin of the ear to block pain, taking as little as five minutes to have an effect and lasting for several days or longer. Following the personal experience of a military pain specialist, the technique was initially applied to wounded service members and local patients for pain relief, with significant results. 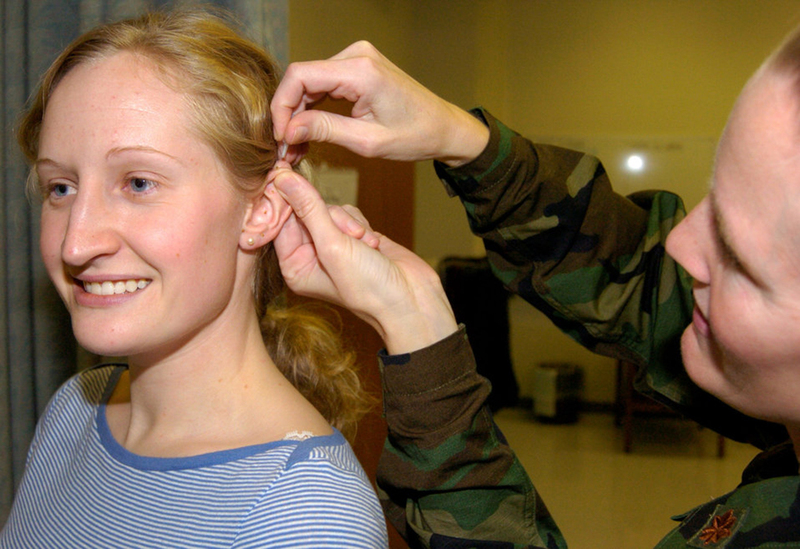 Later the United States Air Force trained physicians who were deployed to Iraq and Afghanistan. At The Herbal Clinic, Meilyr James is trained in Battlefield acupuncture and has been impressed by the results. In addition to this, electric acupuncture can be used with different low-level frequencies proving beneficial for resolving different types of pain. Porter LS, Keefe FJ, Wellington C, Williams A. Pain communication in the context of osteoarthritis: Patient and partner self-efficacy for pain communication and holding back from discussion of pain and arthritis-related concerns. Clinical Journal of Pain. 2008;24:662–668. Burns JW, Quartana PJ, Bruehl S. Anger management style moderates effects of emotion suppression during initial stress on pain and cardiovascular responses during subsequent pain-induction. Annals of Behavioral Medicine. 2007;34:154–165.